Are You Taking These Crucial Steps to Maintain Your Evaporator? 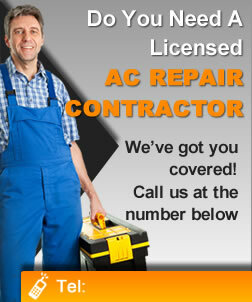 It’s easy to install an air conditioning system and then forget about it. As long as the cool air keeps blowing, you’ve got nothing to worry about, right? Wrong. When you only wait until the last possible moment to service you air conditioner, you’ll learn an important lesson: it’s much easier to deal with a few minor kinks in the system here and there than to have to worry about a major overhaul down the road. Like any other piece of relatively complex mechanical equipment, an air conditioning system is only as good as the service that goes into maintaining it. That’s why we’ve put together this guide. Here, we list the crucial steps you need to take every six months to maintain the evaporator for your air-cooled condensing systems. 1. Check the electrical panel to make sure that all the connections are tight. Just like a loose shoelace could put you at risk for tripping, electrical connections that aren’t tight can put your air conditioner at risk. Make sure to tighten spade connections if they’re loose, and also have a good look around for wear on terminals and the insulation of the wires. 2. Check the defrost heaters. You can’t expect anything near ideal heat transfer when your heating system is out of whack. Make sure amp draw and voltage are at manufacturer-recommended levels and that the terminals are in good shape. Put the “fan” in fantastic with proper maintainence. First things first: does the thing turn? If it doesn’t – or if it’s quite stiff – you’ll want to replace the motor. Wear and small cracks are also common problems. Replace the blades if this is the case. Even if everything is in tact physically, you’ll want to give it a good cleaning and lubricate the motor’s fittings. 4. Inspect your drain pain. Drain pans should drain easily and smoothly. If they’re not, it’s probably because there’s something in the way that you need to remove, like gunk or debris. Get it out of there! 5. Wash your evaporator coil. The surface of your evaporator coil needs the odd rinse, as dust and grime tend to get drawn in and collect over time. A cleaner, especially a foaming one, is great for this. Doesn’t need to be anything too fancy. A commercial-grade product will do.